[Portland, Oregon, USA] – TPB is proud to present Devin Packard, one of our seniors for the 2013/14 Curriculum Year! © Copyright 2013 The Portland Ballet. 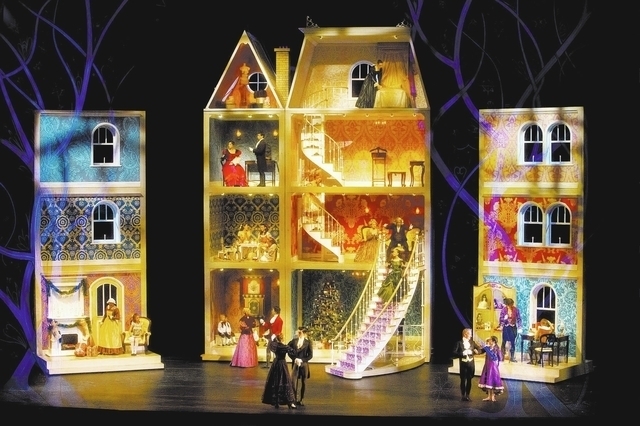 [Las Vegas, Nevada, USA] – More than a century after its 1892 debut, “The Nutcracker” has become a treasured family tradition. Not just for the families in the audience, but for the families onstage. As audiences marvel at Nevada Ballet Theatre’s extravagant production, which returns to The Smith Center on Saturday [December 14] for a 10-performance run, the “three-ring Gallagher circus” — as Jamey Gallagher describes it — will be helping to create the magic. In “The Nutcracker’s” first act — set during a festive Christmas Eve gathering where the title object magically comes to life — Gallagher and his wife, Tara Foy, will be dancing — Gallagher as the grandfather and Foy as the mother of young Clara (danced by Betsy Lucas), whose fanciful experiences the ballet depicts. Someday, Sean says, he’d like to portray Fritz, Clara’s impish brother. But at least he’s moving up in the “Nutcracker” world — his first “Nutcracker” role, at age 3, was as a dancing mouse. The Gallaghers aren’t the only NBT “Nutcracker” family this year, however. Jerry Nadal — senior vice president of Cirque du Soleil’s resident show division — is an NBT trustee; his partner, Gene Lubas (former artistic director for “Zarkana,” who teaches at NBT’s Academy) will play the role of Mother Ginger at some performances. And their twin sons, Harrison and Wilson Lubas-Nadal, appear in the party scene. The Gallaghers’ connection with NBT’s “Nutcracker” stretches back to the beginning of the troupe’s four-decade history. Jamey, who choreographs and produces corporate shows, has been dancing with the company since the early ’80s, when it was known as Nevada Dance Theatre. And Tara — who teaches Las Vegas Academy students as well as NBT dancers — joined in 1987, when she arrived in Las Vegas from her native London. “You were in a movie?” Sean asks his parents, clearly impressed. For the fifth-grader, however, being onstage is “family fun stuff” — in part because his parents have “told me pretty much every story about ‘The Nutcracker.’ ”Including all the roles they’ve played — “almost like every part,” Sean says. Except that Tara’s never played Clara. “Next year,” she jokes. This year’s “Nutcracker” features plenty of new steps for NBT dancers, according to artistic director James Canfield. Canfield estimates he’s choreographed “about 85 percent of it all over again” following last year’s initial production, overseeing changes to everything from the ballet’s narrative flow to its atmospheric lighting. Sean also remembers, before the performance, “just getting ready” and standing onstage with his parents, who “were wishing me good luck” while other kids’ parents were in the audience. In addition, Tara and Jamey spent years doing two shows a night on the Strip, so “sometimes one is a little anti-climactic,” Jamey observes. Being in “The Nutcracker” year after year after year inspires a variety of “kooky pranks,” he acknowledges — including “making up lyrics” to the ballet’s classic Tchaikovsky score to add a bit of variety “when you’ve done it a couple hundred times.” Yet, “amazingly enough,” Jamey adds, each of NBT’s “Nutcrackers” has “been different enough over all the years” so “I kind of look at it as fresh and new” every time. Recalling Nevada Dance Theatre’s “humble beginnings” (“we thought it was the greatest thing ever at the time,” he says) makes NBT’s current “Nutcracker” a vastly different experience. “It is very much a privilege to be a part of such an extravagant vision,” Jamey says. An extravagant vision that keeps evolving, Canfield adds. [Oakville, Ontario, Canada] – Cole Sweet took up ballet because his older sisters’ dance studio was offering free classes for boys. A couple of years later, he was accepted at Canada’s National Ballet School. Sweet, who had been doing jazz, acro, tumbling and hip-hop since age eight, fell in love with ballet. “I liked the discipline of it,” says the 11-year-old Oakville native. And that’s a good thing [ – because] at Canada’s National Ballet School (NBS), Cole’s day starts at 8:30 a.m. and includes academic classes and a two-hour ballet class. He has a 90-minute ballet class Saturday mornings and a one-hour conditioning class weekly. He has been preparing for his part in The Nutcracker since September. Cole will dance the roles of a son in the family scene, as well as a courtier in another scene. The production continues at Toronto’s Four Seasons Centre for the Performing Arts until Jan. 4. In its 18th year, the holiday favourite features students from NBS’ part-time Associates Program and Teacher Training Program, as well as full-time students from the Professional Ballet Program. Since 2006, NBS students have been joined by more than 60 others from Toronto’s performing arts high schools in the battle scene. Boarding school has been a big change for Cole, who was home-schooled, but he knows he’s lucky. About 1,000 dancers audition in 15-20 Canadian cities, as well as through video auditions from around the world. About 150 make it to the second stage, which is spending four weeks at the school in the summer. Then, the school chooses 50 students. Cole began in September with a scholarship at the youngest age at which a student can be accepted. Because of The Nutcracker rehearsals, Cole spends about 24 hours at home each weekend with his mom Myra, dad Todd and sisters Tyra, 18, Madison, 15, and Sierra, 13. 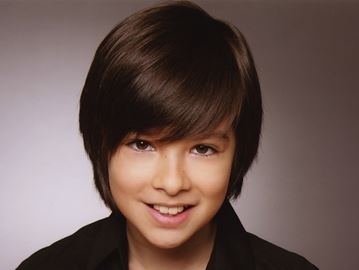 [Waterloo, Ontario, Canada] – For 12-year-old Michael Carvalho, landing the title role in an upcoming holiday ballet production wasn’t a tough nut to crack. Carvalho is starring in Canada’s Ballet Jörgen’s production of The Nutcracker as the male lead, which plays at the Centre in the Square at 7 p.m. on Dec. 28. An episode of So You Think You Can Dance encouraged Carvalho to start dancing five years ago. It wasn’t one style of dance, he was inspired by it all. “I want to do that,” he told his mom Joanne after watching the show. While the story line of the The Nutcracker is the same, and depicts a schoolgirl’s dream, this show is a bit different and features Canadian elements, including works by the Group of 7, Mounties and beavers. But his biggest role yet will be dancing in five productions as one of three Nutcrackers in the touring cast of the popular Christmas story. He’ll dance alongside three different leading ladies playing Klara while the show tours. And his family is excited to see him on the big stage now for the third time. “I love watching him perform and to see his progression to being the Nutcracker — I’m super proud,” said Joanne. He auditioned for the part in September and since then has been thrown into a whirlwind of rehearsals and acting lessons, going back and forth to Toronto. He’ll be playing alongside other dancers in the touring cast from around Ontario, including Niagara on the Lake, Kingston and Cambridge. In total, 16 dancers from Waterloo Region will perform during the production. Even though he’s landed the title role, he’s not finished with the Nutcracker. He anticipates auditioning next year as he builds a portfolio in dance in the hope that some day he’ll be paid to do what he loves. “I would do it again. It’s really fun and a great experience,” he said. Carvalho dances with In Motion Studio in Kitchener about four days a week as a competitive student in various genres of dance, including jazz, hip hop, Acro and ballet. [Guelph, Ontario, Canada] – Ballet Jorgen’s The Nutcracker — A Canadian Tradition is quickly becoming a Guelph tradition as the Toronto dance company has performed in Guelph just before Christmas for several years running. 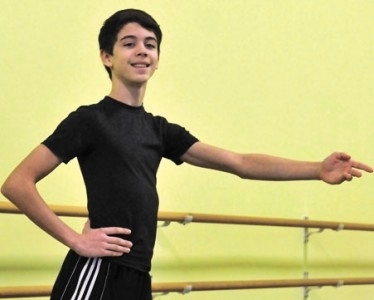 This year a Guelph youth, William Steers, won the coveted role of the Nutcracker Prince. William, 15, said he didn’t really enjoy ballet when he started taking lessons as a youngster. So he studied other forms of dance — hip hop, tap and Irish dancing — before returning to ballet. 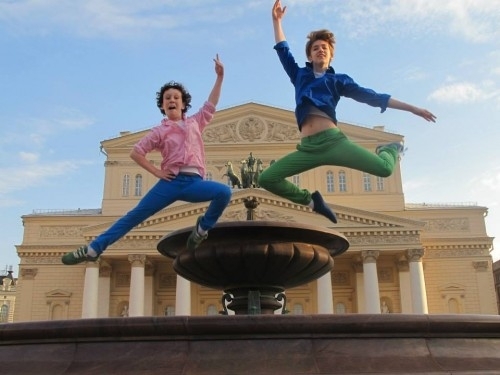 It didn’t hurt seeing Billy Elliott performed on stage in Toronto a few years back, he said. “I fell in love with the dancing,” said William in an interview at his Guelph home. “I saw a clip of Riverdance and I fell in love with that, too. I started to think about dance as a possible career and realized I would have to have ballet again. So I’ve been doing that for two years and I love it now, too. William attends Eastwood Collegiate Institute in Kitchener and takes the specialized arts program where he studies dance, singing and acting. Most people are familiar with Pyotr Tchaikovsky’s original version of The Nutcracker that was first performed in 1892. It’s the story of a family and friends who gather on Christmas Eve to trim the tree. Gifts are exchanged and Clara, the daughter, receives a nutcracker. Her brother Fritz is jealous and breaks the nutcracker. Clara is crushed. At midnight, after the adults have left the scene, Clara goes back to check on her nutcracker and a wonderfully bizarre scene ensues. The nutcracker grows to life-size, the Christmas tree becomes enormous, mice start scurrying around and eventually there’s a battle between the mice, led by the Mouse King, and the gingerbread men, led by the Nutcracker. After the battle, the Nutcracker turns into a prince and he and Clara roam through the forest where they witness dancing snowflakes and a celebration of dancing sweets from around the world. They return home before daybreak and Clara settles in to sleep, only to realize in the morning that the whole thing was a dream. Ballet Jorgen kept the music, but moved the story to a Canadian setting. Instead of dancing candies and teas and sugar plums, there are beavers, frogs and dragonflies. Paintings by three of the Group of Seven artists are used as backdrops and set the stage for the raging battle and the wilderness adventure. Ballet Jorgen is a professional adult company and they audition local dancers for the children’s roles. The major children’s roles, which include Klara and the Nutcracker Prince, join the touring cast. William will perform in Guelph Dec. 22 and 23, but also in Brockville, Ottawa and Kingston. He won a role in Ballet Jorgen’s Swan Lake when it came to Guelph last year, but was only on stage for two minutes. The Nutcracker Prince is considerably larger and William will be on stage for the entire ballet. “It gets me thinking about my future and what it will be like to be a dancer,” William said. Clea Iveson, education manager for Ballet Jorgen, said most of the dancers in the company would have performed in The Nutcracker when they were children, so they understand and appreciate the excitement of the young dancers. “The sparkles in the eyes of the kids, making it through auditions, stepping into the costumes, working with the professional company — there’s nothing like it,” Iveson said. She said working with Royal City School of Ballet, the local dance company that runs rehearsals for the local cast, is easy since they’ve done it so many times. “It’s a well-oiled machine in Guelph,” she said. “We bring it to Guelph because it’s a lovely theatre and the community is culturally engaged,” said Carolynn Clark, spokesperson for the presenter Live at the Hippo Pool Events Inc. “We have a strong response every year.